100 Massey Dr, Suffolk, VA 23434 (#10250472) :: Abbitt Realty Co.
Waverly Coastal - 1 story home with a sun room & double sided fireplace. 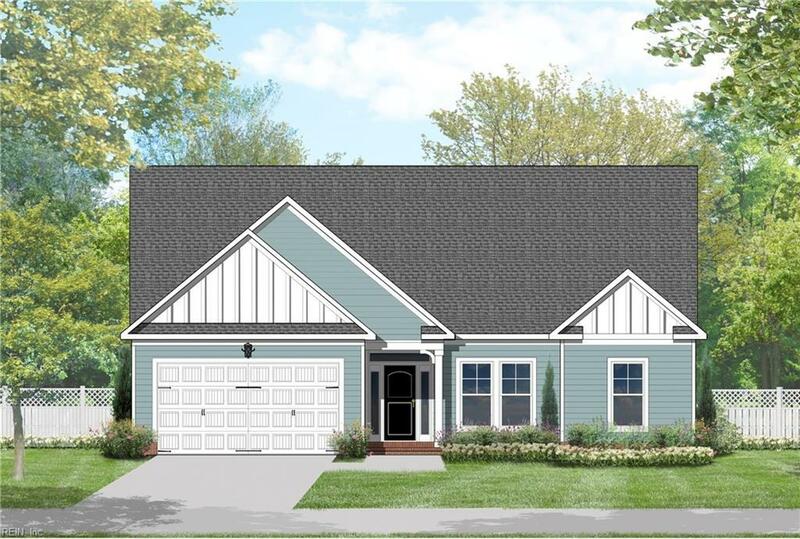 Open and spacious home with available options to customize & make it your own. Need more space? Add an optional 2nd floor! Open kitchen with a large island. Master bedroom with 2 large closets, tray ceiling & master bathroom with double sinks, tub & separate shower. Approximate 4.5 months build time. Free design time with design coordinator to help you through the selection process. Closing cost assistance available with use of our builder preferred lender & settlement provider. To be built 2 story homes available. New subdivision with 2 acre lake, green spaces & future playgrounds/dog park & sidewalks. Ask about our military incentive!